Despite people's best efforts information systems are particularly prone to failure. Some systems never materialize, others appear late and/or over budget and those that are implemented often fail to deliver the promised levels of performance. The consequences of these failures affect people throughout the organization concerned and beyond, sometimes to the point where they even threaten a company's future survival. They also damage the companies that develop and supply such systems. Worse still, the same types of problems occur again and again; even the most exhaustive methods are not able to ensure success. 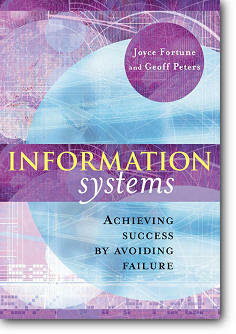 This book aims to help all those people involved with information systems to break that repeating pattern of failure. Using real life examples it introduces a sophisticated approach based around the notion of system to come to grips with the causes of actual and potential failure. It presents a model of a system capable of action without failure that can be used as a yardstick to judge existing and planned information systems and suggest measures that need to be taken to achieve success.